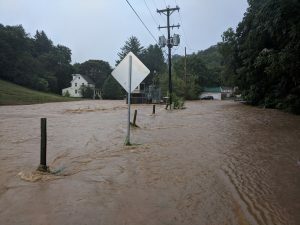 This afternoon heavy rains dropped over 6 inches of rain in a matter of hours and caused multiple water rescue incidents as well as some building collapses. Shrewsbury Volunteers were dispatched to over 20 incidents from 3:00pm to 9:00pm throughout York County. Shrewsbury is part of the York County Advanced Technical Rescue Team (York ATR) and provided personnel and equipment for multiple incidents. Crews handled several calls with people trapped in high water as well as reported buildings that collapsed due to foundations washing out. 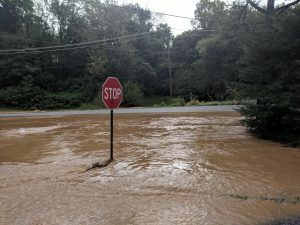 As water recedes some roadways will remain closed due to washed out areas. Roads have been undermined and are unsafe for vehicles to travel on them. 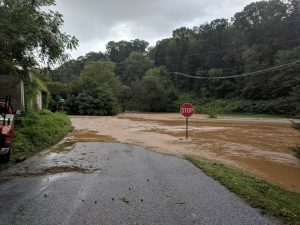 If you come across barricades blocking roads DO NOT go around them. They are there for a reason. As roads are examined by authorities they will be reopened if safe to do so. 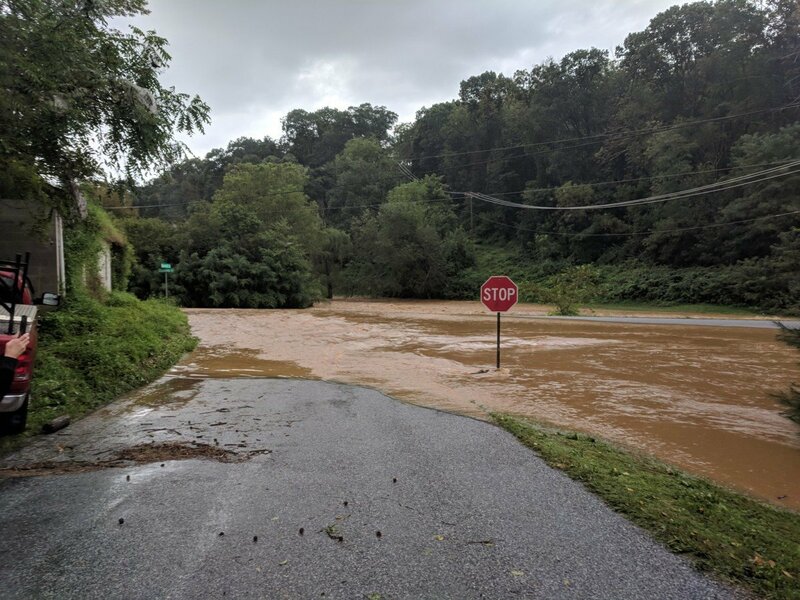 When you come across flooded roadways turn around, don’t drown.